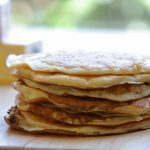 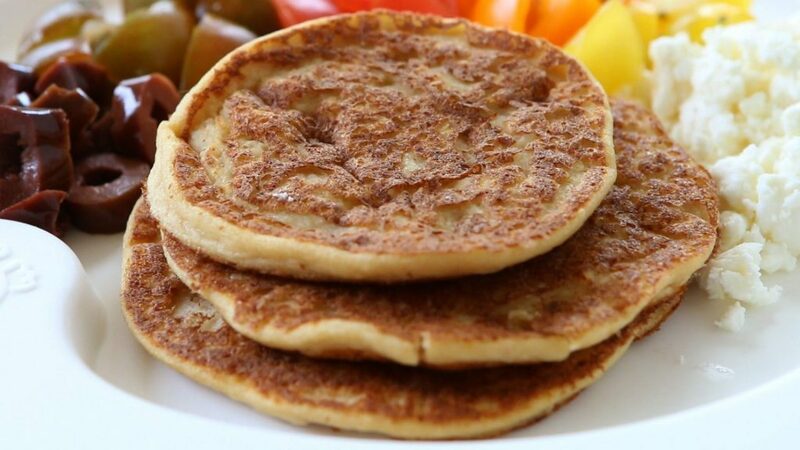 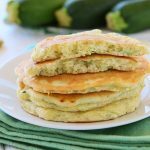 Savory pancakes made with chickpeas…creamy, tasty and simply yummy!!! 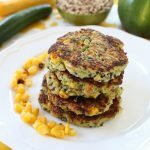 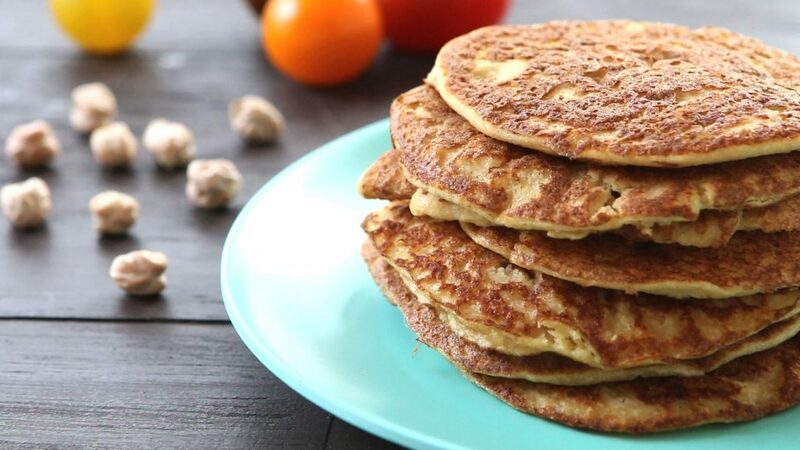 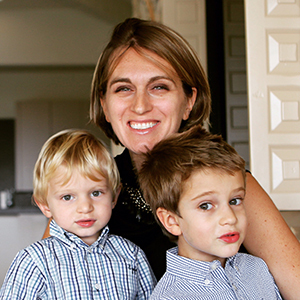 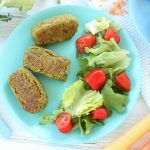 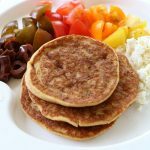 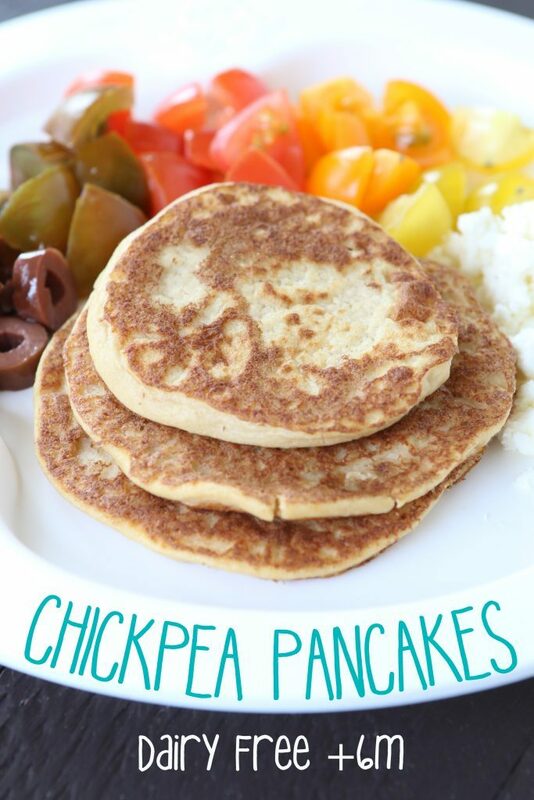 I use chickpeas a lot in my recipes: hummus, farinata, salads…and even pancakes! 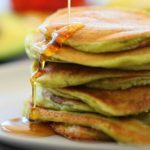 I made the recipe dairy free simply substituting regular milk with almond milk, but you can use the milk of your choice. 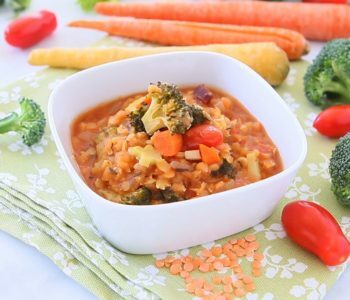 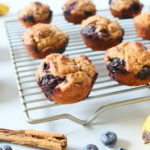 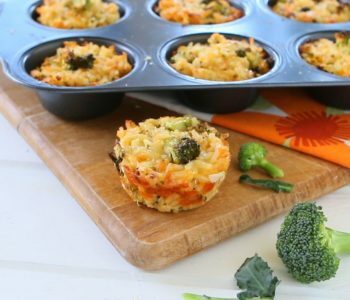 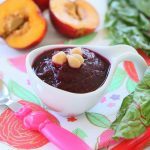 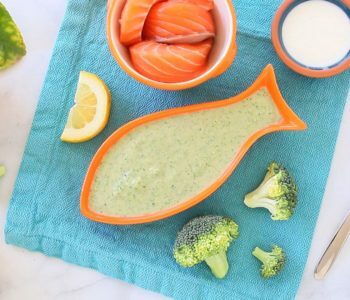 As I didn’t use lactose milk, the recipe is a lovely baby led weaning idea too!! 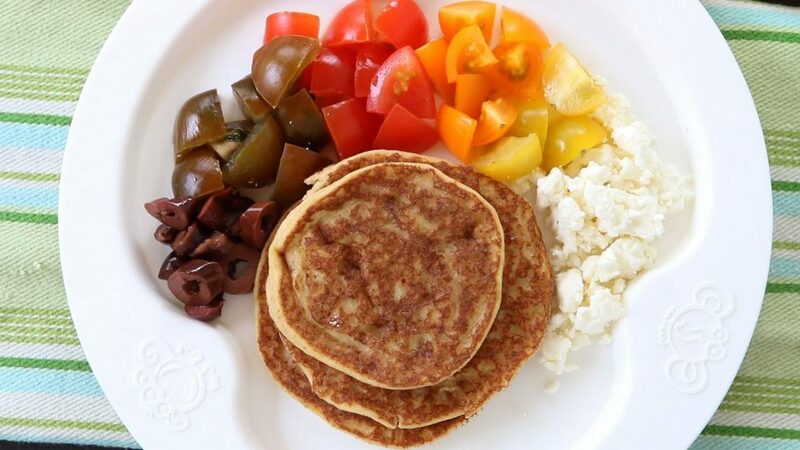 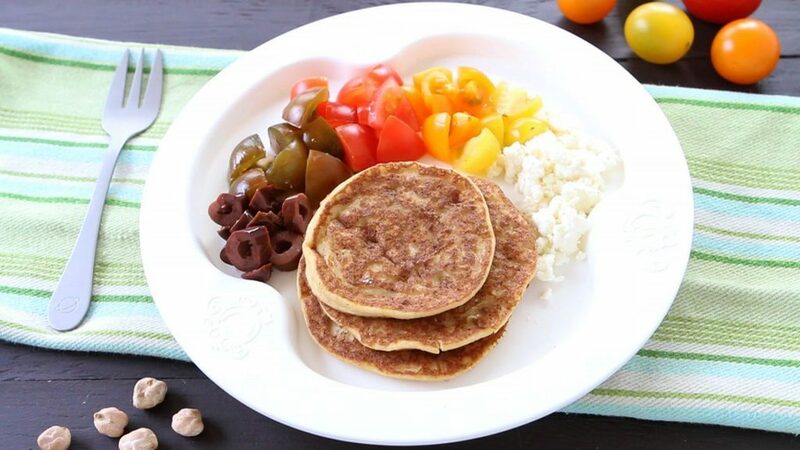 These pancakes are on the savory side, that’s why I decided to serve them with a rainbow of tomatoes, olives and feta cheese. 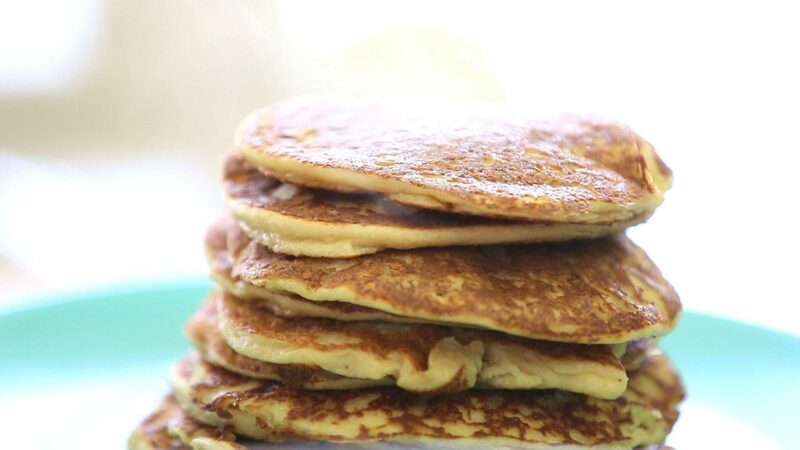 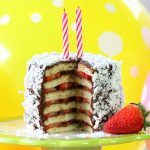 If you are not going to enjoy the whole stack of pancakes all at once, my suggestion is to cook only the ones you need and simply refrigerate the pancake mix up to three days. 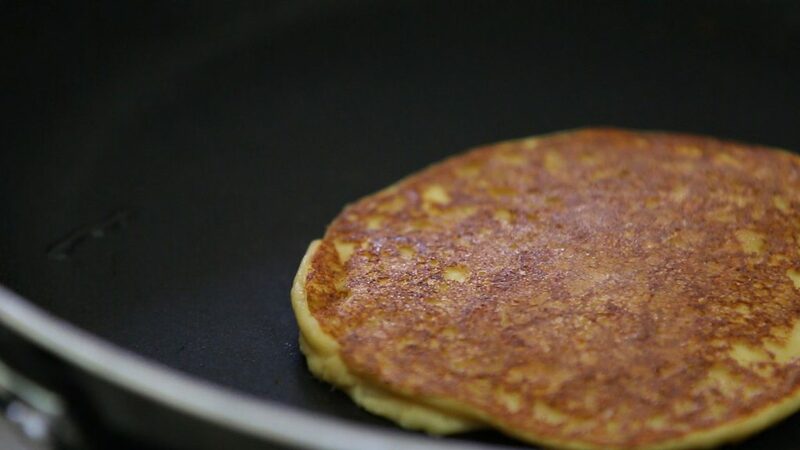 When needed, you will simply cook the pancakes in less than 5 minutes!!! 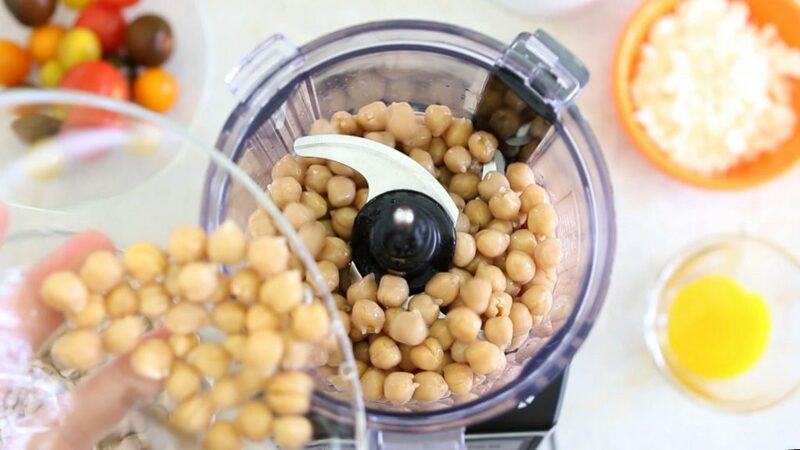 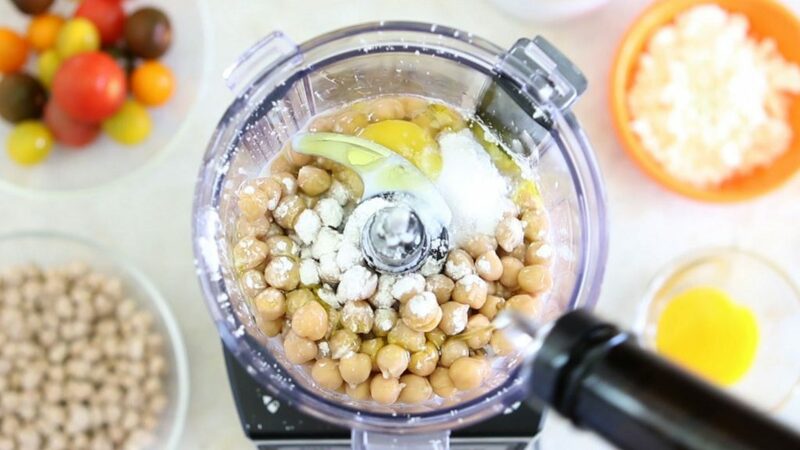 In a food processor add the chickpeas, egg, milk, baking powder, corn starch, olive oil, salt. 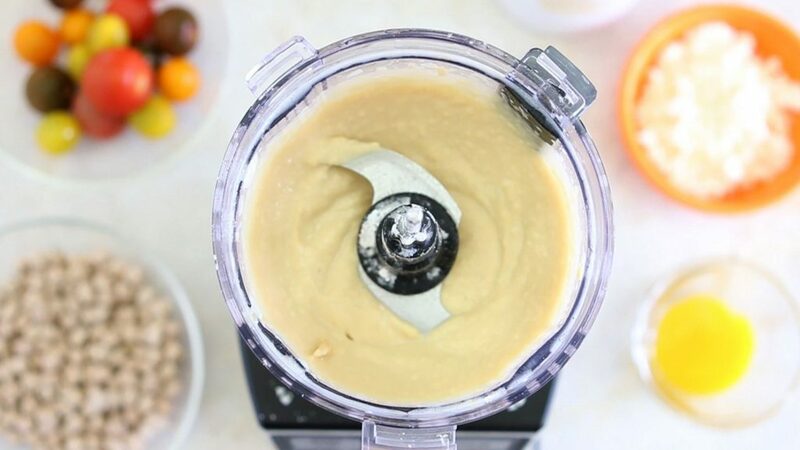 Blend up until smooth. 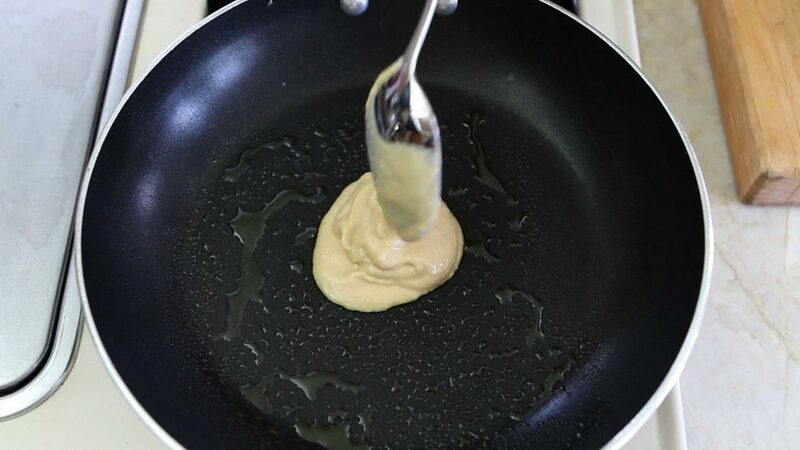 In a frying pan add the coconut oil to grease and add 1 small ladle or 1 Tbsp of mix. 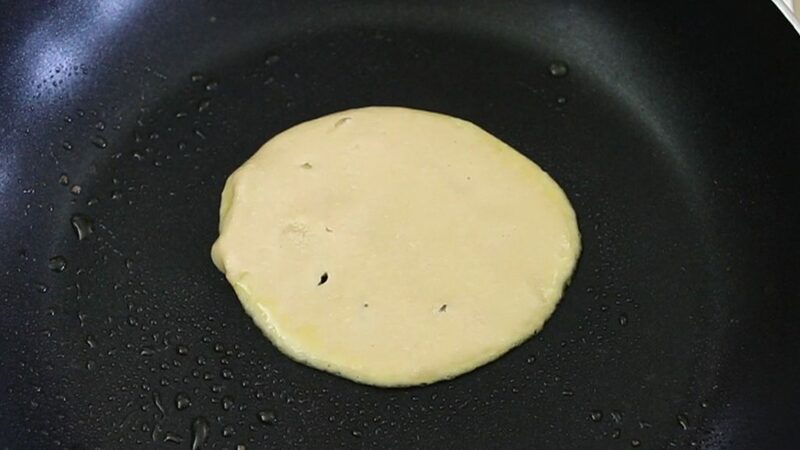 Spread and cook for 2 minutes on one side. 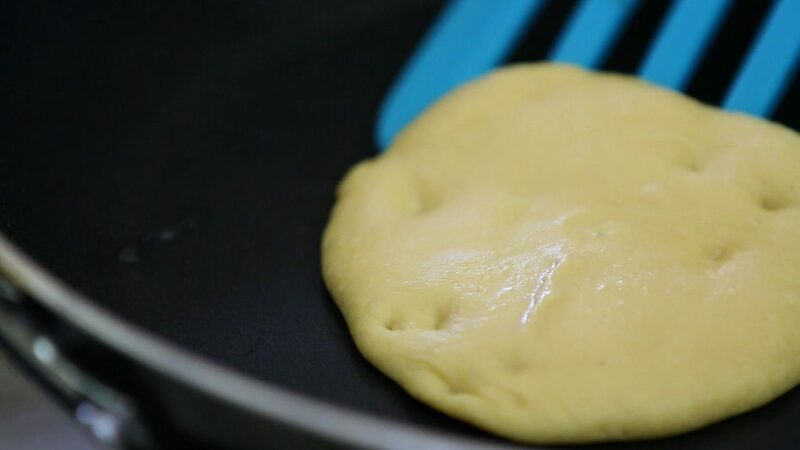 When you will see some bubbles forming on the surface flip on the other side. 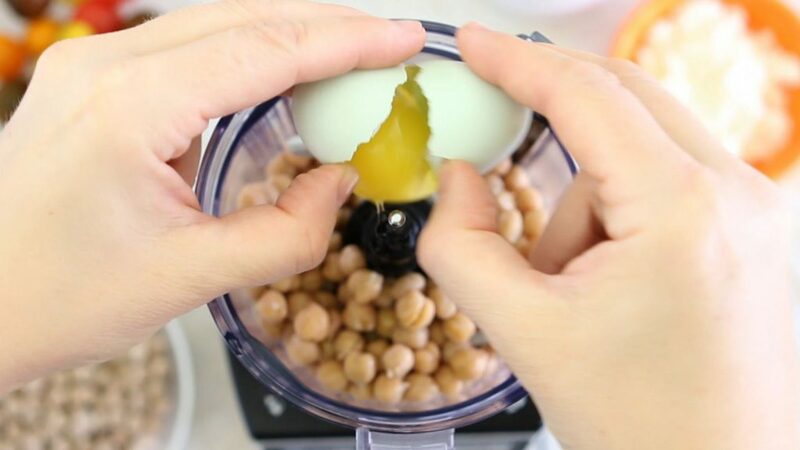 Cook for another minute. 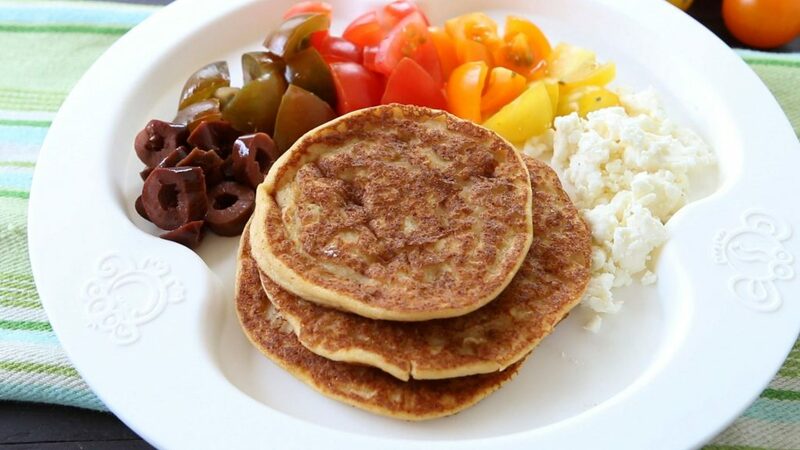 Serve them warm with a nice tomato salad with olives and feta cheese.